Welcome your guests with a pineapple - It is the universal symbol of friendship, generosity, hospitality and other forms of social warmth and graciousness. A great way to start your special event! This pineapple favor symbolizes a warm welcome, friendship, generosity and hospitality - a great way to welcome your guests! 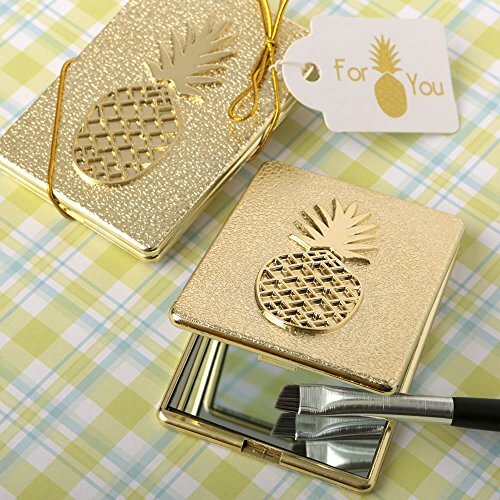 Pineapple themed Warm Welcome Collection compact mirror. Mirror case made of hard molded plastic.